Manufactured from food grade HDPE, the Packo jar is robust; an ideal container for transporting valuable pharmaceuticals, chemical and food stuffs in granular and powder form (not water tight). 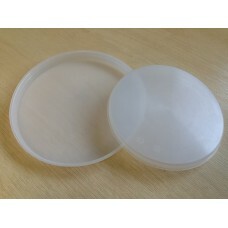 Different lid options available, a popular choice of which is the 2 component gasket lid - that requires an easy ¼ turn to apply. 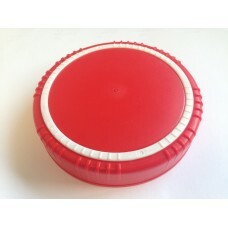 The lid also has a tamper evident feature. 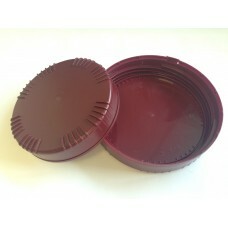 300ml CurTec Packo Jar Robust & ideally suited for use with powders, gels and high value products. 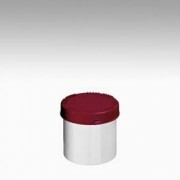 Manufactured from food grade HDPE, ..
500ml CurTec Packo Jar Manufactured from food grade HDPE, the Packo jar is an ideal container for transporting: Valuable pharmaceutic..
650ml CurTec Packo Jar UN approved for the transportation of hazardous solids and marked UN1H2/ X0.9/Y1.3/Z1.9/S/ Robust &..
A 1000ml CurTec Packo Jar Ideally suited for use with powders, gels and high value products.Manufactured from food grade HDPE, the Packo jar&nbs..
1300ml CurTec Packo Jar which is robust & ideally suited for use with powders, gels and high value products.Manufactured from food grade HDP..
A 1500ml CurTec Packo Jar The Packo jar is a robust and an ideal container for transporting valuable pharmaceuticals, chemical and food stuffs i..
A 2000ml CurTec Packo Jar Manufactured from food grade HDPE, the Packo jar is a robust and an ideal container for transporting valuable pharmace..
A 2500ml CurTec Packo Jar A popular choice, this Packo jar is robust, an ideal container for transporting valuable pharmaceuticals, ch..